I’ve been wanting to blog about Something For Kate for more than a week now, but the pressure of trying to accurately convey how much the gala has meant to me, and describe how incredible it was, has been playing on my mind. In fact, I’ve been nervously avoiding my laptop. I’m just not sure I can do it justice, guys! When I was a kid at Primary School, I remember one year my parents planning a family holiday to Europe. As most of our Summers were spent down at Rye on the Mornington Peninsula, just the thought of going overseas was the most thrilling thing that had ever happened to me! Mum and Dad would tell us stories of all the different places we were going to visit, and I’d spend countless days daydreaming about ice-skating on canals in Holland, and having a real, white Christmas. Mum even began knitting us all special woollen socks, and we all got to pick out the colours we wanted. The anticipation of our holiday went on for months and was so exciting. We never ended up going on that holiday. I’m not exactly sure why, but you know what? The pure anticipation of it was almost enough. I had lived the idea of it for so long that I almost felt like I’d had the holiday anyway. I’m not even sure whether I got the socks in the end …(let’s face it – knitting five pairs was probably a bit much for a busy mum) but my siblings and I got incredible joy out of imagining wearing them. Seriously. My mind skipped back to this funny imagined holiday recently, as the date for the Something For Kate gala drew closer and I was drawn in to feelings of pre-emptive exhilaration. For me, the true gift of the gala began long before I stepped into that glittering Peninsula Ballroom. 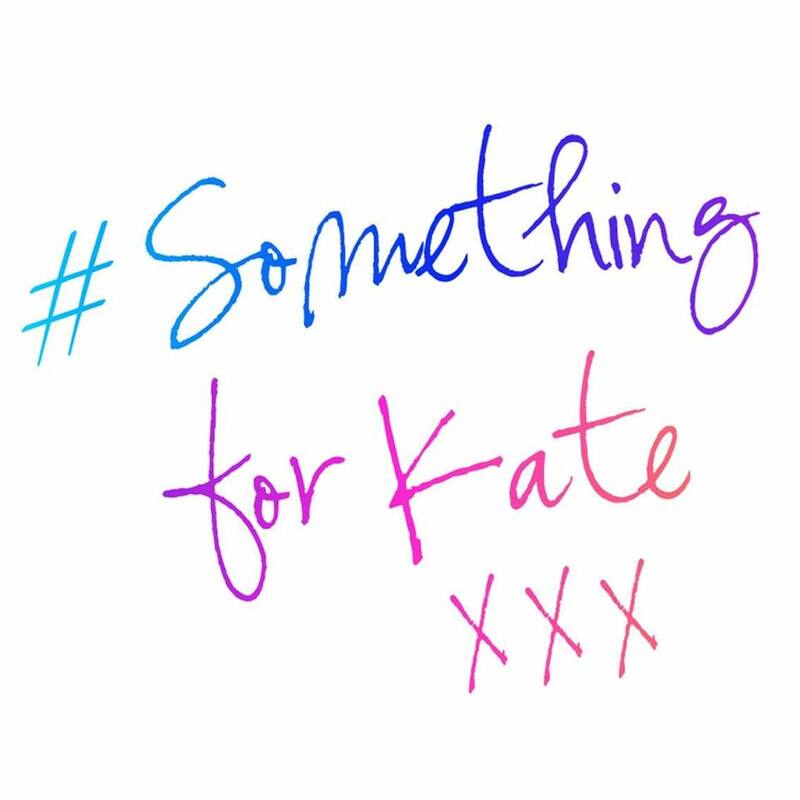 Just the anticipation of the Something For Kate gala put an extra spring in my step for months. Many, many times I had to pinch myself in sheer incredulity of it all. How incredible were these four school friends of mine? Despite the distance of time, and all the other things going on in their lives, they were putting such extraordinary effort and love into planning an event for me. It really boggled my mind! 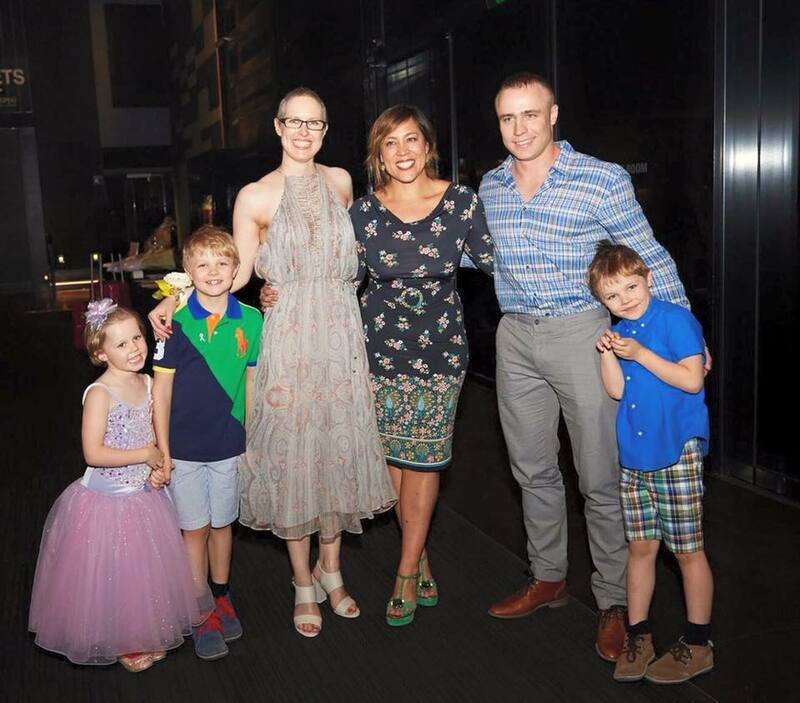 I had been super excited at the original prospect of a small fundraiser with some fellow Ivanhoe Girls’ alumna, but as the weeks progressed, and the size of the luncheon grew to EPIC, I was floored time and time again by the amazing force rallying to support me. Besides feeling utterly flabbergasted by their plans, the first great change in me was that Something For Kate got me painting again, a creative pursuit I love but had let slip since my December diagnosis. That in itself has been a huge gift. My mental health has vastly improved since, and I am no longer needing the anti-depressants I was prescribed earlier this year. It’s hard to put into words how indebted I feel to Kerry and Sally who requested I paint something for the gala, and when I doubted I could, said: “just bung a few colours on and call it ‘Hope’!” It has really changed me for the better. Throughout the months of horrible treatment; the chemo, radiotherapy and then that delightful surprise week in hospital with Staph, I found Something For Kate like a beacon of hope to focus on; something lovely to offset all the awfulness in my life. The anticipation of this wonderful event really did help me battle through some of the darker times. I couldn’t wait to hang out with all my favourite people, soak up the happy feels and forget about cancer for the day. Well, after months of anticipation, It didn’t disappoint! It was the most breathtaking, heart-warming example of community and kindness I have ever personally witnessed. As dreadful as it has been to have to go through the despair of a cancer diagnosis and the onslaught of treatment, boy has it been beautiful to be at the centre of so much love and support.If only everyone could feel as loved up as I do now! The world would be a better place! It was such a feel-good day. I adored it all: Kate Cebrano rocking Chrissy Amphlett’s cheeky anthem, dancing up a storm with my daughter on the dance floor, hearing about the wonderful progress in cancer treatments from Prof. Sherene Loi, enjoying such a delicious meal, catching up with so many people I haven’t had a chance to see in ages and having my children see true kindness in action. It was a day chock-a-block full of so many moments that I will store in my heart forever. I have been walking around in a blissful haze ever since, feeling completely loved-up and so lucky to have so many wonderful friends. Although the post-gala blues are threatening to hit pretty hard, I continue to be astounded at the amount we were able to fundraise together in one afternoon. The gross proceeds were in excess of $63,000, which will make it possible to donate a very healthy sum to the National Breast Cancer Foundation! AMAZING, AMAZING, AMAZING! 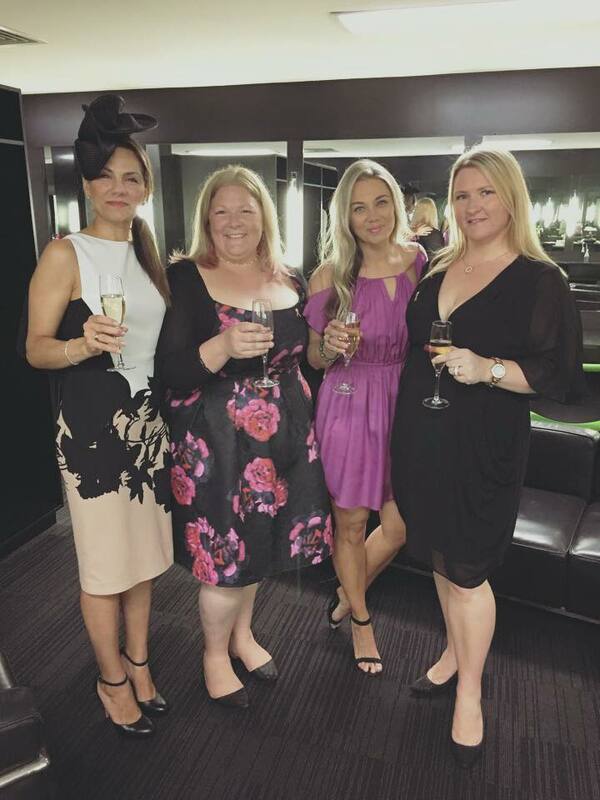 To my beautiful SFK girls – Kerry, Nat, Bec and Sally: I’m awestruck by what you put together. What an incredible achievement! Thank you from the fullest part of my heart. You have turned a devastating year into something I can smile wholeheartedly about. I am so proud to count you as my friends. You have such big, beautiful hearts. And to everyone who sponsored the event, donated prizes and auction items, and came along – thank you for making me grin so hard I had sore cheeks afterwards. It was the most incredible thing looking out into your amazing sea of faces, and you have helped make a real difference to the lives of those with Breast Cancer. The power of community is awesome. I am so grateful for the time you took to make it and can’t wait to see the footage from the gala too. And to the extremely kind souls who bid on auction items or won prizes and then selflessly gifted them to Jay and I…thank you so SO much. We feel humbled by your kindness. Wow. I can’t wipe the smile off my dial. There is extraordinary beauty in this world, and I have been reminded of it more than ever over the past six months. The kindness and generosity that has been thrust in my family’s direction as we navigate the challenges of my Breast Cancer diagnosis has left me feeling more loved than ever before and so, so grateful. But let me just say that things cranked up a notch last week!